Earlier in April we had teacher trainers from Australia. They taught some modern teaching methods to our teachers. One of them was to make different shapes with play-dough. 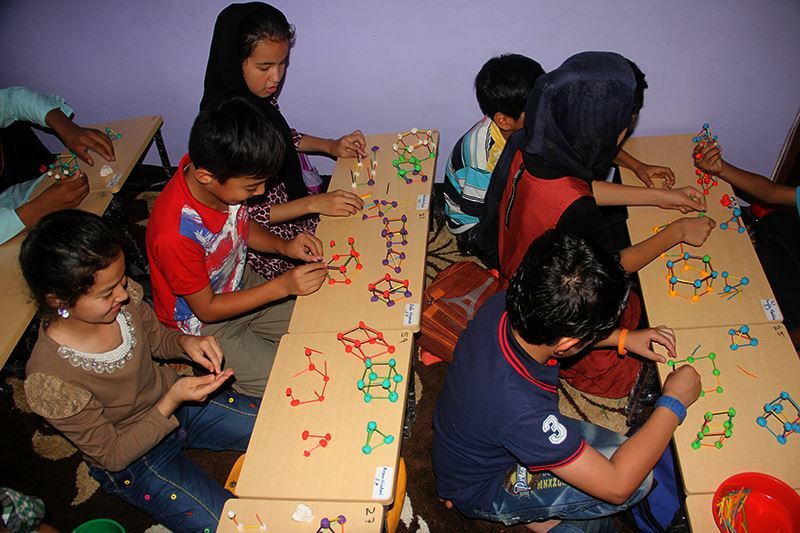 The exercise was fun for the kids and they easily learned about angles of the shapes and make up of the shapes. A message from Senior Primary teacher for the trainers and the facilitators. "Thanks you so much Ms.Katherine and Ms. Michelle for your visit. We have learnt a lot from your training and we are trying to implement that in our learning center. You can see in the pictures how the students are enjoying."